The program is spelled out on the website, where they build structures both big and small, they learn about measurement and scale and the final project is a redesign of a plaza that they visit. At archKIDecture, we have done similar lessons to kids and it really works. Kids come up with some very clever solutions to problems. 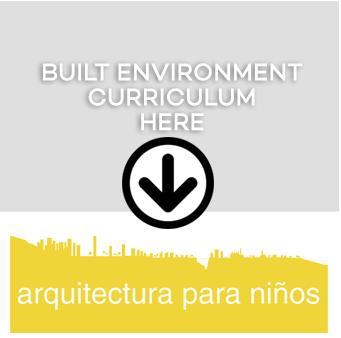 And hopefully they learn to consider and care for the built environment as they move forward. Way to go, el equipo of the Ceip Praza de Barcelos primary school in Galicia – both students and teachers willing to try to use architecture to teach so many skills. Here is a link to an english language article about the program too, in Archdaily.